Fostering a hands-on, maker-inspired learning environment. Welcome to Placer Union's Career-Ready Hub. Check out our high school pathways that encourage students to be workplace-ready. Learn more about how Career Technical Education prepares learners for their futures while closing the skills gap for employers across the country. We've summarized a busy year for Placer Union CTE, all in a single doc. Check it out. Or click through a CTE Update board presentation below with similar highlights. Click the controls on the lower-left to pause slides as well as view full-screen. Three hundred five (305) certs in 2018-19 and still counting! Precision Exams are aligned to careers, providing a certification that students can use to express what it is they have learned during their pathway coursework. While these assessments do not take the place of demonstrated, hands-on learning, they do hone in on the key competencies identified by national industry experts in career technical education. See the Precision Cert list: Career Certifications. Administering a Precision Exam? These links can help. A Placer County consortium of school districts, with leadership from Placer County Office of Education, manages CTE Incentive Grant funding that is improving opportunities for student through the lens of the 11 Elements of Quality CTE---see link to the right. The U.S. Department of Education allocates funding for career and technical education programs. 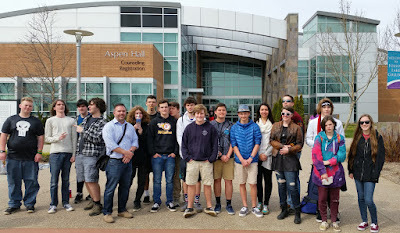 Don Isbell with his Foresthill High students visiting the Innovation Center (makerspace) at Folsom Lake College. The 11 Elements of High-Quality CTE are driving pathway development throughout the PUHSD. Beyond industry-standard equipment and facilities, the Elements promote leadership skills for students, outreach to the middle grades, promotion to the business and parent communities, professional development for our faculty, and more. Check out examples of the 11 Elements of Quality CTE. Help inform our CTE faculty and assist in making decisions about equipment and program by becoming an Industry Champion. The commitment can be as little as responding to an emailed survey to serving as a mentor to a high school youth. Sign up here! CTE (Career & Technical Education) is not your father's woodshop class; it is a series of rigorous courses that make up a pathway leading to a promising, high-wage, high-demand career. Here's the official definition courtesy of our colleagues at the California Department of Education. Nepris is an online social network that connects classrooms with professionals passionate about their career. There are live events and archived conversations that can bring the world of work into our career centers, classrooms and labs. Below is the #LifeReady plan PUHSD is rolling out to students. Give us your feedback by emailing Gregg Ramseth: gramseth at puhsd.k12.ca.us. PUHSD has several work-readiness programs. Check out our tri-fold brochure and sign up to help us by filling out this short survey of engagement options. Our federal CTE funding---under the Perkins IV Act---measures the several "core" indicators. Our most recent data will be reported soon and then shared here. Would you help with mock interviews? Maybe you'd be willing to host an intern? How about a survey on industry equipment? Discover the whole range of of opportunities---and time commitments---to help shape our future workforce, improve our career programs, and assist our students in becoming career-ready. PUHSD students have participated in several industry career days. Capture their experience via our CTE photo album collection. Grab a rack card of each school's pathway options and help us spread the word that mastering career skills in high school opens doors to more career opportunities after graduation. PUHSD held six Lennar Homes hands-on workshops after school at Placer High. Thanks to Matt Conley, our construction and woodworking teacher who hosted these successful trainings. Here are our industry visits from 2018. Pathway courses are available on each campus as well as in partnership with neighboring high schools and Placer County CTE Works. To complete a path, students take a minimum of three sequenced classes, also known as a program of study. The following sectors of the economy may be available on campus or within a reasonable driving distance. 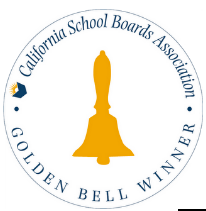 Colfax CTE earns Golden Bell status. Visit the YouTube Channel of one of our CTE & math teachers. Here's a sample of what's happening in his pre-engineering classes.